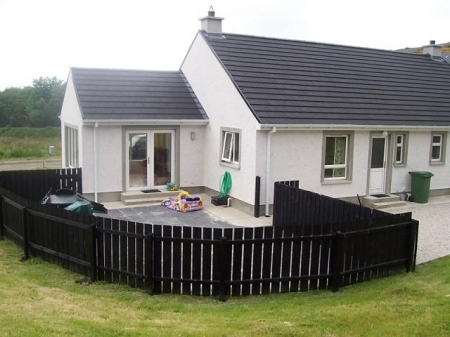 Fully furnished, newly built detached bungalow, situated on thr main Carritgart to Glen Road in a quiet, peaceful location. Minutes away from walk to Glen. Excellent base for Rossapenna 18 hole golf course and local sea/fresh water fishing. Nearby hours riding, Forest Park, bicycle hire and hill walking. Disabled friendly.